3 vendors have this plant for sale.39 members have or want this plant for trade. I grew one of these from a seed I took from a roadside planting. Interestingly, the plant I took it from had the typical flower type but the one I grew has tubular petals (similar to 'fanfare' variety of Gaillardia grandiflora). The seeds I collect from this tubular individual all have come up as also tubular which is interesting. These plants are carefree and a good component of short wildflower meadows&beachside plantings where I live. They require no irrigation or anything really but they can be a bit floppy so they are not super suited for more formal beds. A very carefree annual. I'm now growing Mesa Yellow blanketflower from seed and I'm hoping the two don't hybridize well because I want to keep my tubular strain going. I grow this in part (mid-day and early afternoon) sun in a section of salvias and wildflowers. It competes well, sprawling in all directions and falling over, but not smothering anyone. The bees like it. It seems to be a heavy reseeder, suggesting that even if it does not survive the winter, its offspring will. I have heard from local gardeners that this can handle more sun, providing it gets shade in the brutal afternoon sun during our 100+ degree summers. This is a Florida State sanctioned wildflower they introduce to wildflower roadside plantings. It is one of my favorites! I find it difficult to get a large area filled in with it, seems to do best as an individual. 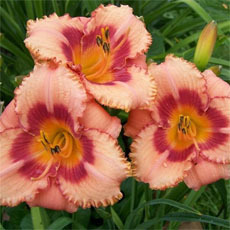 I have planted this flower several times, many cultivars, both potted and from seed. In my humid climate with wet winters the roots rot and it fails to thrive even for one season. Strangely, I rarely water and many xeric flowers do extremely well in my garden - but not this one. I do not see it in other gardens in my area either. On holiday in Canada in 2008 I bought a postcard from the series 'Wildflowers of Banff-Jasper' which had some Indian Blanketflower seeds attached (Gaillardia aristata). On returning home I mislaid them and did not come across them again until August 2011. I planted them in September then we proceeded to have our worst winter weather for 20 years and our wettest spring and summer since records began, the seeds were totally forgotten about and neglected and I gave up any hope of them growing but in August 2012 I was surprised to see them in full bloom. We live on the north east coast of England about 50 miles from the Scottish border and I'm hoping they will bloom next year as they are a lovely reminder of one of the best holidays we have had. My only problem now is should I start to look ... read moreafter them with feed etc. or should I leave them alone. Gaillardias are sold in Wisconsin, but I don't think it's native here; I especially like the horticultural varieties that are offered..."Oranges and Lemons" and "Fan-fare" are two I especially like; but I'm not sure if they return by seeding. I've never had them for very long. But they are wonderfully bright. This is the oklahoma state wild flower...the more you ignore it the better it does. You can get free seed packets from your oklahoma conservation district offices. I saw some of these growing wild in my neighborhood while out walking one morning, under power lines. I dug a nice bunch up and planted them into my garden. They've reseeded on their own in the same place. I planted in full sun in two places, one place is out of reach of irrigation and gets only rain water, the other is on twice weekly waterings. The ones that depend on rain only do much better and reseed each year in a spot where nothing else grow, they seem to thrive on neglect. I've bought these in local nurseries and have never had them reseed after first season. I have grown Blanket Flowers for years. They come back year after year, not just the second year and they have been reseeding on there own. They have also came back in the same place I planted them.You can also divide them with a shovel and spread them in your yard or share them with friends. These plants do very well in Northern Wisconsin! At first I thought they were weeds and kept pulling them, but they kept coming back. So, I decided to let them grow and see what happened. I was quite surprised!! I collected the seeds in the fall, and planted them in the roadside ditch in front of our house. They are doing great!! 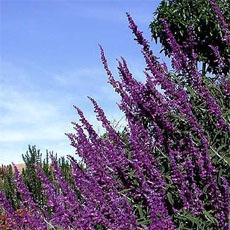 This beautiful plant is grown all over the United States, Mexico and Canada. It is very heat and drought resistant. Thus, it needs little water. If you think you are not watering it enough then you are the one killing it. Not much water is needed. This is also a full sun plant. NOT partial shade, full sun. This means 6 to 10 hours of sun a day. I also agree with not planting too many unless that is all you want for a garden. To some people this is a weed as it starts out looking similar to a dandelion with its first set of leaves. 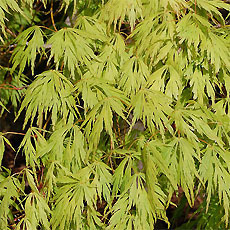 The leaves on its stem are different in appearance from the base leaves. I bought my seed from a vendor in Ennis, Texas during the bluebonnet festival. The vendor is the Texas Bluebonnet Seed Company out of Be... read moredias, TX. Their number is 936-395-6281. This is probably the most recognized flower during the fall season in Texas and Oklahoma. Gardeners love to grow this next to their scarecrows and bales of hay. Gaillardia pulchella is a herbaceous, re-seeding annual. Occasionally it will act like a short lived perennial by coming back the second year. It exibits more heat tolerance than other species. For me, these are a fall bloomer. Tons of long lasting flowers. Does well in drought conditions. Lately we've had almost frost conditions and they seem unaffected by the cold temps. Seen growing along the side of the road between Concho & Showlow, Arizona. Apache County, Highway 61, June 30th, mid Summer, zone 6b, elevation 6300 ft. I love the bright colored flowers on this plant. But it definitely struggles in soils that are too wet. After I planted mine we had two days of heavy rain and temperatures that stayed near 90 for several days. That about did it in. I have since moved it to another location in my garden to see if that might revive it. Indian Blanket,Gaillardia pulchella, is native to Texas and other States. I stumbled across this flower while moose hunting in northern British Columbia, Canada. It was growing on a roadside in the middle of nowhere, at least 60 miles from the nearest town. Took me a while to find the name of it. I brought some home and planted them in the yard last fall. They went to seed, and now I want to try to replant. Any hints out there? I purchased this from a native plant nursery in Naples, Fl. this past January. It had only a small shoot growing and I was a bit suspicious about the plants quality. My initial feelings were wrong. In my picture, the largest grouping is what came from that tiny shoot I purchased. The several other groupings came from cuttings I made as the plant began to grow. I have read these plants do well in most soils, but they have a tendency to grow tall and will spread if in good soil, as long as it's well drained. That is the case here. It is in good soil and it has spread and grown quite tall. The picture was taken in May. Since then the plant has been cut back several times. I left the cuttings along with the flowers on the ground. I have not seen any new plants take fr... read moreom the flowers left behind. I am not sure how to handle it over the winter. The few times I have cut flowers to take indoors, they have lasted several days and were very attractive. There is limited interest in the plant by butterflies, but it is well attended by bees. I've managed to kill this plant everywhere I planted it. It needs more water than I expected. I'll probably try Gaillardia again in an area that gets more water/irrigation. Bear in mind that my average rainfall is 7 inches A YEAR. This isn't the first xeric plant I've lost to underwatering. Nice sunny face to see in the garden even in high summer. Native Texas wildflower, so it doesn't mind heat or drought one bit. 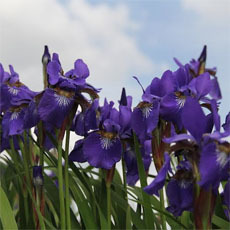 This is a very easy plant to grow and it has very attractive blooms. It will reseed itself heavily in areas and should be thinned to get the best results. 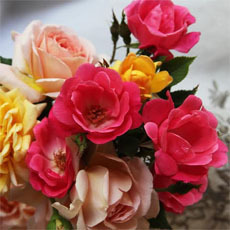 Flowers are showy and look great in either a formal or informal setting, as well as in natural areas. 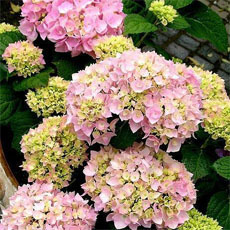 I deadhead mine to keep the blooms going longer, though it blooms for a long time without deadheading. Seedlings can be dug and moved easily. Bees love the flowers and some butterflies will also visit it. 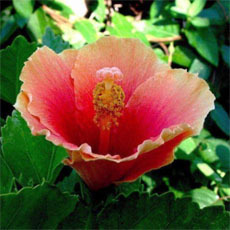 They thrive in the hot Florida sun and sandy soils without any special attention. Just give them a little water now and again. Gaillardia's have to be my favorite flower. They look great next to my Shasta Daisies. 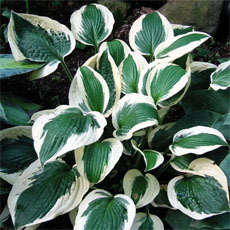 In mid summer, take a spade and stick half the spade into the ground 6 inches from the plant, circling the plant. This will stimulate the rhizomes to spread and the plant to divide next spring. Mine have divided so well I haven't had to collect seeds. Let them dry out a bit between watering. Deadheading makes them bloom even more. I find this plant to be very easy to take care of. They grow as a wildflower in Texas and really does blanket a dull area. Indian blanket is one of the most brightly and attractively colored wildflowers available to the native plant enthusiast. 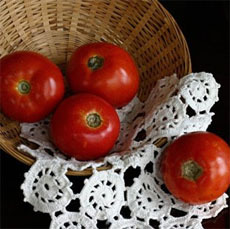 Fortunately, it is as easily grown as it is beautiful and its successful cultivation often requires nothing more than scattering seed in a suitably prepared area. Once established, plants will tolerate very dry conditions and are essentially carefree so long as not subjected to poorly drained, wet soils or to the shading of taller plants. Gaillardia pulchella is an annual that blooms throughout the growing season. It grows to 1'-2'. Space 15" apart. Easily grown.